I sure hope you’ve been good this year. Today is the day Santa makes his Naughty and Nice List in preparation of gift giving. It’s your last chance to put in a good word with big guy! 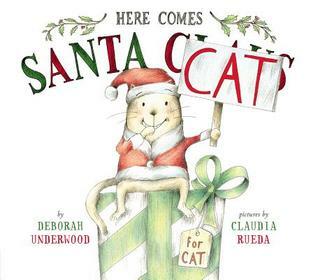 One of my favorite new books on the topic of last minute efforts to move from the Naughty to the Nice List is Here Comes Santa Cat. And speaking of lists, everyone seems to have a list of things they would like for Christmas. So Santa has to keep a list of what everyone wants. How does Santa find out? 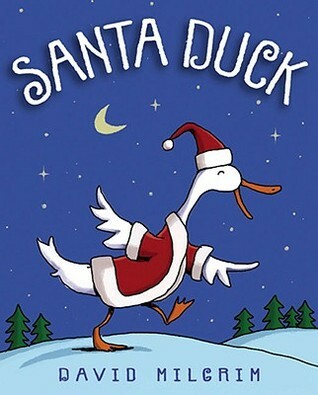 One way is to write a letter to Santa, another is to have a helper like Santa Duck who listens and remembers then tells Santa himself. On Christmas Eve, Nicholas Duck realizes that he hasn’t given Santa his Christmas list yet. Just as he leaves the house, Nicholas finds a box on his doorstep. He doesn’t know who it’s from, but he opens it and takes out an official Santa hat and coat. He puts it on and begins his trip to find Santa. Along the way, all the other animals approach him with their Christmas lists. Everyone calls him Santa Duck. Finally, Nicholas realizes that it’s because of his outfit. So he tries to give it away to Cow. Just as he thinks he’s finally on his way, Cow returns with his Christmas list. Nicholas runs away and runs smack into Santa. Santa sits down and writes notes while Nicholas tells him everyone’s Christmas lists. After they said good-bye, Nicholas remembered that he had forgotten to tell Santa what he wanted for Christmas… but it was too late. When he got home, Nicholas found a note on his door from Santa, thanking him for all his help this year. Nicholas went to bed proud of what he had done. The next morning he woke up to find a wonderful green jeep with the words ‘Santa Duck’ written across the front.